Like music? If the answer is yes this Patreon might be for you. 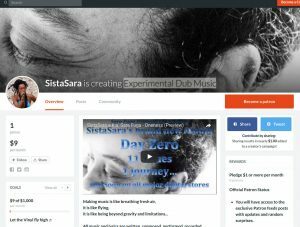 SistaSara is creating Experimental Dub Music and needs your support on Patreon. SistaSara’s goal for this Patreon is $1000 per month and currently stands at $9/month. All music and lyrics are written, composed, performed, recorded, arranged and mixed by myself: from acoustic guitars to live synth, from lead and backing vocals to drums programming, from bass line programming to live snares and percussions. Pledge only $1 and get access to the exclusive Patron feeds posts with updates and random surprises. You will also receive the song Open Space and one of SistaSara’s vintage tunes in MP3 format. Pledge all the way up to $50/month and receive exclusive access to Patreon feed, Open Space download, sneak peaks on new content, two new video downloads, access to exclusive posts, get every new release, full length albums, and bonuses. 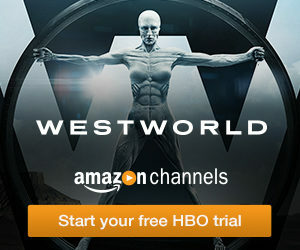 As you can see pledging to SistaSara is well worth it, looks of great bonus material. What Does My Donation Cover? Support a great cause and reasonable goal, support SistaSara on Patreon today.